Set 2,650 feet from the ski slopes and 2.5 mi from Le Grand-Bornand Ski School, Chalet Joubarbe offers pet-friendly accommodations in Le Grand-Bornand. 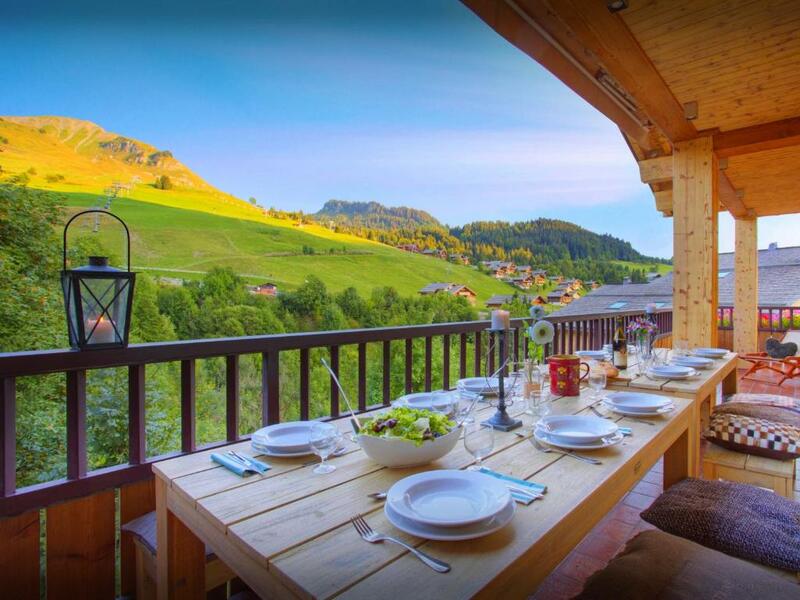 Guests benefit from terrace and a barbecue. Free WiFi is featured throughout the property. The unit is fitted with a kitchen. A flat-screen TV is provided. 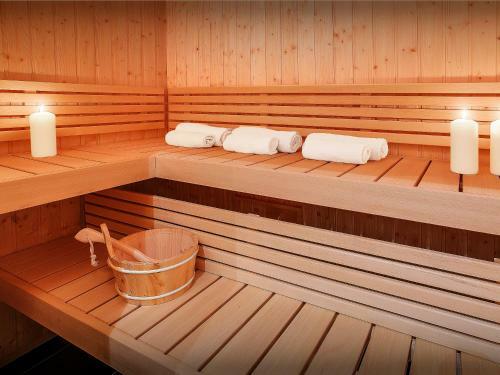 Other facilities at Chalet Joubarbe include a sauna. Annecy is 21 mi from Chalet Joubarbe, while La Clusaz is 5 mi away. Free private parking is available on site. The nearest airport is Chambéry-Savoie Airport, 36 mi from the property. 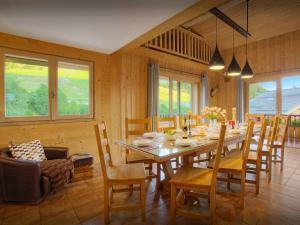 When would you like to stay at Chalet Joubarbe - OVO Network? This chalet has a balcony, oven and sofa. 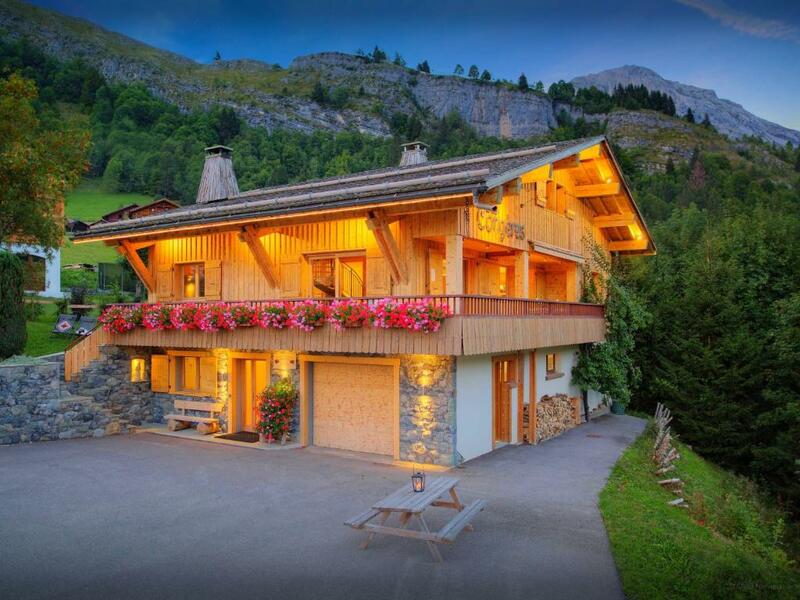 Village life just a short stroll from the stunning Aravis slopes With spectacular views overlooking the pistes and the mighty summits around, you won't find a better base for your Alpine holiday, whatever the time of year. Once you are here, just park up the car and forget it! Chalet Joubarbe is on the edge of the village of Chinaillon (300m), so it's just a short stroll to fetch fresh bread from the boulangerie in the morning or for a tasty local meal in the evening. Le Grand Bornand / Chinaillon resort has a Famille Plus rating, which means there is always something going on to keep the kids busy. 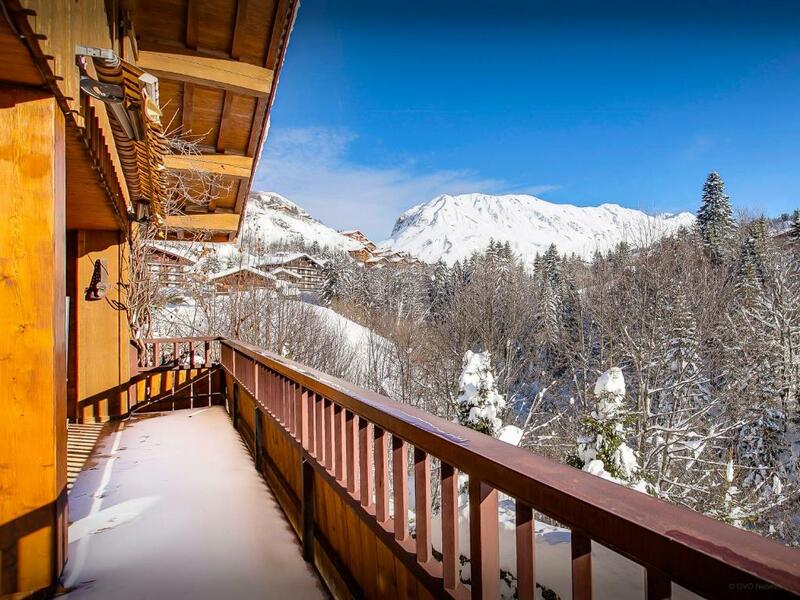 The chalet itself has been extensively renovated, so you'll have all the comforts of home in this stunning setting, and the owners have an office nearby, so are always available to answer any questions. Enjoy the company of friends in this perfect mountain base Chalet Joubarbe has been thoughfully renovated to make sure you have everything you need for a care-free holiday. 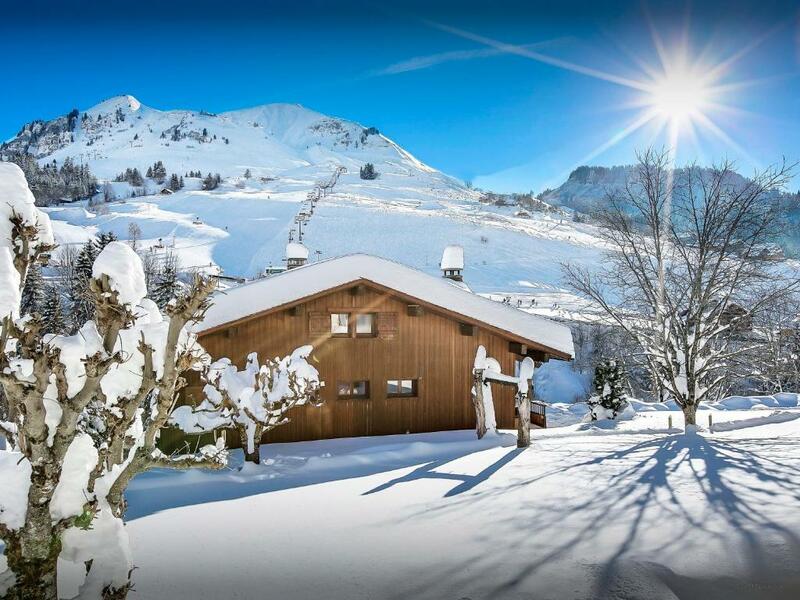 Discover a winter sports paradise, which starts right on your doorstep It’s just a 700m walk from Chalet Joubarbe to the ski lift, but if you’d rather save your energy for the slopes, the ski bus stops at the end of the drive every 15 minutes. With your Aravis ski pass, you’ve got all the Lake Annecy ski resorts at your disposal - more than 200km of perfect pistes. Even closer is a great sledge run and the start of the cross-country ski piste. Beginners in this sport will love the nearby Evo Nordic Park, which has a circuit featuring a variety of terrains, while boarders will appreciate the Snowpark. Non-skiers can go ice-skating or swimming in La Clusaz, where the heated indoor and outdoor pools are open all year round, or try snowshoeing, sledging, dog-sledding and sleigh rides. 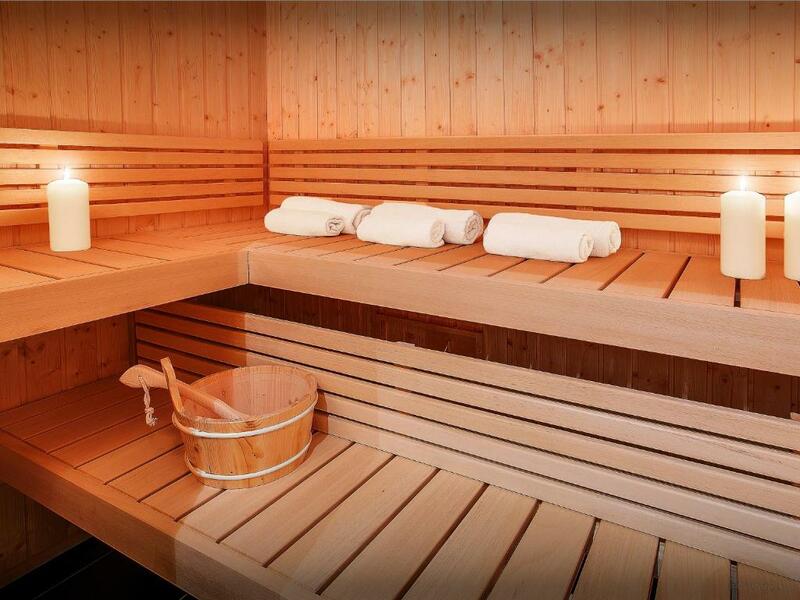 At the end of a busy day, head back to your cosy chalet, hang up wet clothes in the drying room ready for another day, and relax in the sauna. 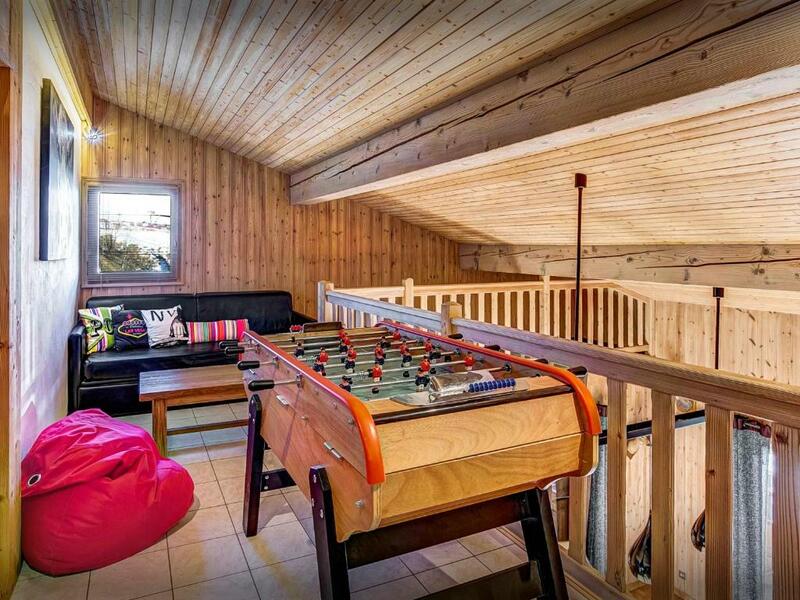 House Rules Chalet Joubarbe - OVO Network takes special requests – add in the next step! Chalet Joubarbe - OVO Network accepts these cards and reserves the right to temporarily hold an amount prior to arrival. Please note that 2 of the beds are only suitable for children. The maximum adult occupancy is therefore 13 adults. The maximum number of babies that can be accommodated is 3. Please note that the outdoor play area is shared with 2 other chalets and is open from 1 May to 15 November. 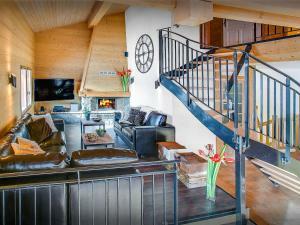 Please inform Chalet Joubarbe - OVO Network of your expected arrival time in advance. You can use the Special Requests box when booking, or contact the property directly using the contact details in your confirmation. We need at least 5 reviews before we can calculate a review score. 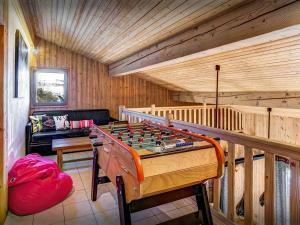 If you book and review your stay, you can help Chalet Joubarbe - OVO Network meet this goal.